Warby Parker offers the Colonel Monocle, a monocle that is actually designed for a prescription lens. I know there are a lot of monocles out there, but they seem to be all for ‘show.’ This one is designed to work! Cool…. Then her brother, the one ‘good’ person in her life, is murdered, his heart ripped out and taken away. Soul magic. And unless Eva can find his killer, and hopefully find his heart, Viktor’s soul will forever be captured and used for unknown, but certainly purely evil, purposes. Surrounded by family, who want to turn her to their Solhan ways (well, except for her twin, who just wants her to suffer greatly before slaughtering her), and a variety of human, gnomish, and ‘other’ people hanging around her and offering to ‘help’ for reasons of their own, Eva’s story is harsh, brutal, and obsessively readable. Finding her brother’s killer is going to be hard enough. But keeping her soul intact? That may be impossible. Be as gentle as a dove but as cunning as a viper. and know when it is time to be either the dove or the viper. Here is an admission. As much as I have been interested and charmed by the concept of Steampunk, I have never read a book in the genre. Given the opportunity by the publisher to read Chronicles of Steele: Raven I can say that I am glad I waited. It is, in a word, delightful. Raven Steele lives in a world of contradictions and extravagances of the surreal kind. Steam powered horses and mechanical humans live alongside flesh and blood beings. Dirigibles crowd the air while Victorian dress resides alongside leather and sword bearing private guards. Medical advances proceed alongside alchemy, and witchcraft is very real, in a sort of ‘physics meets alchemy meets herbology’ mashup. 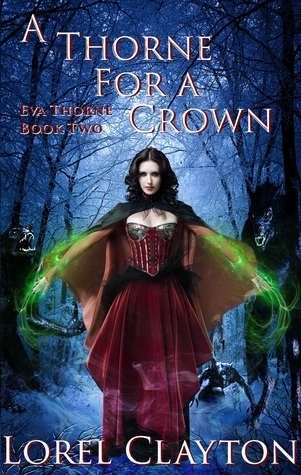 Sword and sorcery meets Victorian in an utterly enjoyable manner. The contradictions are charming and well written, a perfect introduction to a genre I was unfamiliar with. Raven is a Reaper. Once the private (and very fatal) bodyguards and assassins to the Duke, they were disbanded when their leader, Raven’s father, refused to murder the Duke’s wife on his order. Hounded from the castle, his own men set upon him, her family flees, only to lose her mother to murder at the hands of the other Reapers. 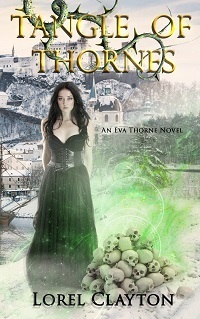 Trained by her father to be a Reaper in order to ascertain her safety from those who would murder her, Raven has travelled the lands, searching for redemption. A tenant of Reaper training, redemption is given through giving back a life for every life taken – and Raven’s balance sheet is nearly complete. But freedom and real life are jerked from her grasp when she rescues the young Baron of New Hope, Darius. The child is handed over to Raven by his elder brother, Baron Solomon Goodhope, who entreats her to save the child from his murderous father. The evil Duke means the boy to die for supposedly being infested by a demon. But the story is much more, and much less, than the Duke believes. And when he sets his guards on Raven and Darius’s trail the consequences will be deeper than he could ever have expected. Friends will become enemies and enemies possible friends as Raven begins a desperate cross-country race, by dirigible and train, horse and on foot, first to find the Witch she has been tasked to locate to cure the child, and then to save him once again from those who would murder him. Those who should by all rights keep him safe, but will kill in the name of the Duke, no matter how insane the order may be. His conscience could not agree with what he was about to do. But orders were orders. And as captain of the guard, Jack always followed them to the letter. Honor is found in the oddest places – but the boundless knee-jerk bone-headedness of mindless adherence to command structures and orders, even when deeply twisted and evil, is readily apparent. As well as a type of debilitating naivety on the part of people who should know better. But there is also a smile around every corner at the unexpected, the quaint, and the captivating. All of these things make the story appealing on so many different levels. Not only that, but there is an undercurrent here, another story line lying just below the surface which makes me eager for the next installment to the series! While all these things are wonderful, there is one thing that bothered me. It may seem a small thing, but to me it is important to the presentation of the book. I was completely discombobulated by the cover. It presents as the cover for a Shamanistic Fantasy novel more than anything else. It is gorgeous, without a doubt, but it has absolutely no continuity with the story line. It is disconcerting to say the least. 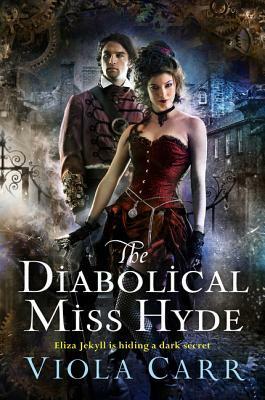 Without looking at the blurb I automatically expected the book to be on par with Patricia Briggs’s Mercy Thompson series, or possibly Ilona Andrews’s Kate Daniels series. Not for a true Steampunk novel. But again, it is a small thing that will possibly be of no interest to other readers. I highly recommend this book for its strong heroine, well written story, and (yes, here is that word again) charming world building. Oh, and I was surprised to find that this is listed as “young adult” – but not in a bad way. It is a great story for young and young at heart. I will be watching anxiously for Darius’s story, the next in the Chronicles of Steele. And I will definitely be checking out others in the genre. I am hooked! 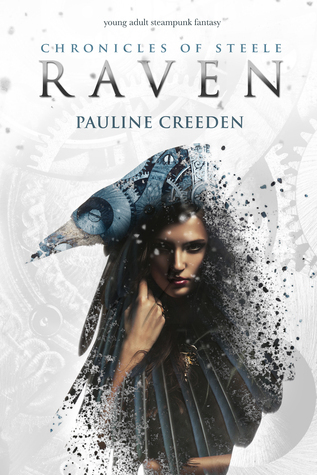 I received Chronicles of Steele: Raven from the publisher in return for a realistic review. All thoughts are my own.